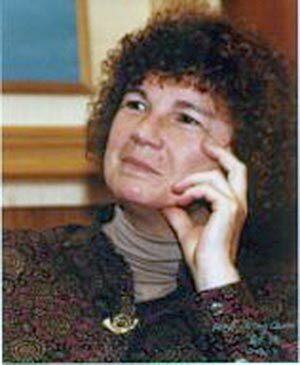 Marilyn Bone Kloss (born 1942) is an IHS Founding and Lifetime Member and has served two terms on the Advisory Council (1996-2002). She is assistant editor of The Horn Call, editor of the IHS website, and publisher of the Cornucopia newsletter and Cornucopia: The Book. She has been the IHS Massachusetts Area Representative since 1992 and started the Northeast Horn Workshop in 1998 and continues to lead it. Marilyn earned BME and MM degrees at Indiana University, where she studied horn with Philip Farkas and Abe Kniaz, and a Bachelor of Mechanical Engineering and Graduate Certificate in Technical Writing at Northeastern University in Boston. After working as a public school music teacher, horn free-lancer, and engineer and computer programmer, she retired in 2006 from her last position as a technical writer at a computer software firm. Marilyn plays in her local community orchestra (Concord MA) and is its music librarian. She serves on the Music Committee of the town library and on the Board of Directors of Boston Musica Viva. She received the Service Medal in 2013.